Dinner with the family. You've been waiting for it all week. Maybe all month. The day has finally arrived. Now the only trick is to find an outfit that's grandmother approved, stylish, and leaves room for dessert. 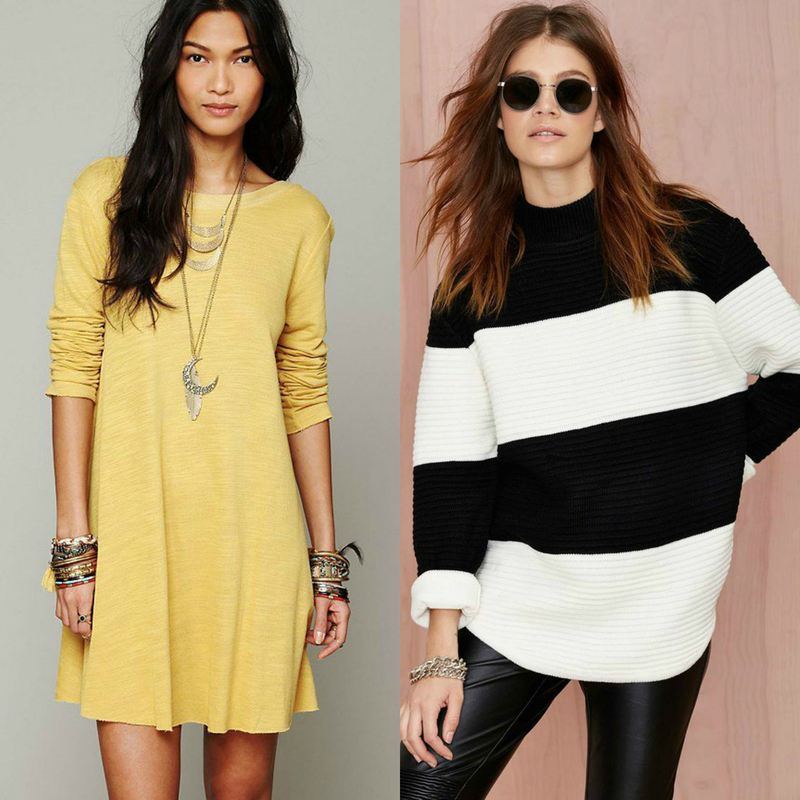 There are a lot of ways to conceal your food-baby bump while still looking cute, but the two standouts of the season are oversized sweaters and loose-fitting dresses with fun details. Hooray for turkey!!! Image via Pinterest. 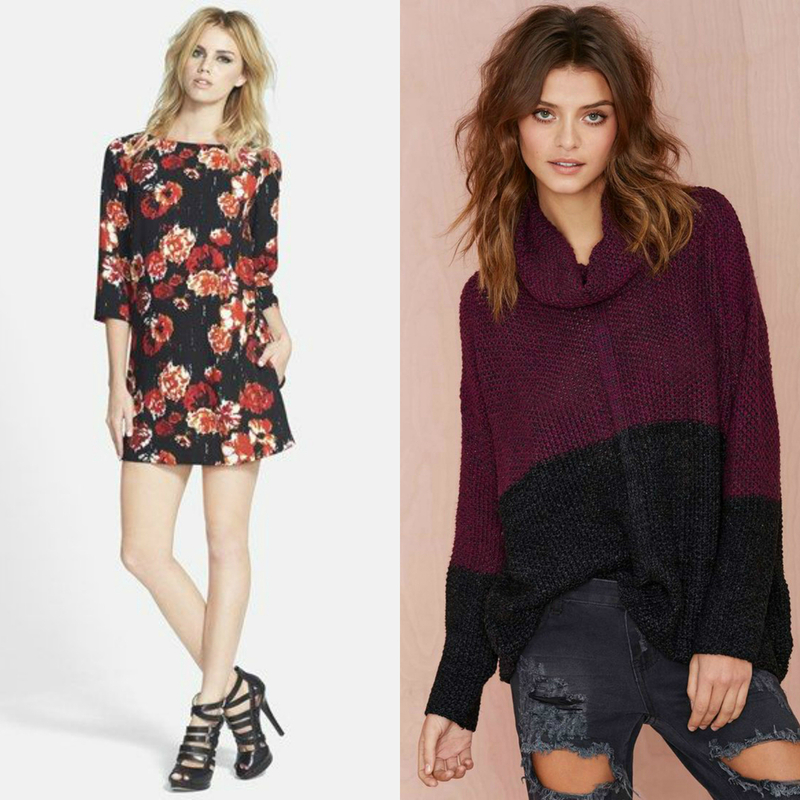 The best way to work your favorite oversized sweater is by pairing it with a more fitted bottom. Leggings, skinny pants, and fitted skirts all provide some well needed balance and prevent you from looking frumpy. The same goes for loose-fitting dresses. Look for options with dainty details and shorter hems to avoid looking like you're going to dinner in a nightgown or mumu. To make yourself look extra long and lean, throw on a pair of pumps with a skinny heel. Now go get those seconds with pride!